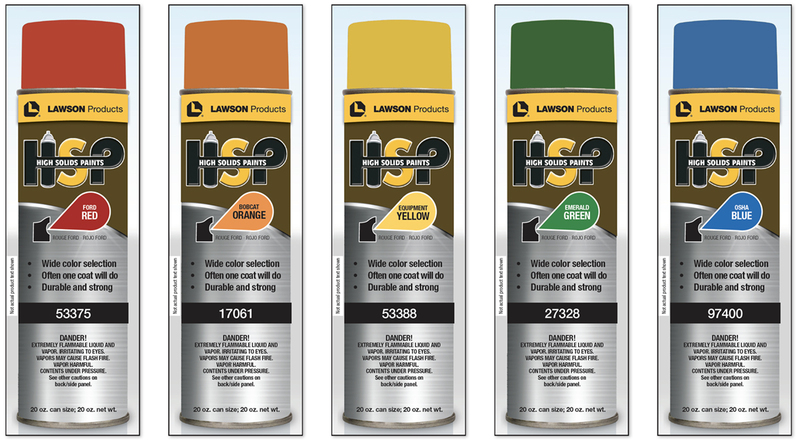 Lawson Products offers a wide range of private label chemical products for many applications. However, the packaging and labeling of these products had been developed over many decades by many different creative teams that preceded me. Thus I had an opportunity to revamp the designs and branding to be more cohesive. The challenge was that there were multiple sub-brands that the Company wanted to maintain. My solution was to create a new chemical label style guide. First the decision was to unify all the products under the single primary brand of Lawson Products. This was done by using the logo on a yellow bar at the top of the can. Then under that I established a hierarchy of importance for all the other information including sub-brand names, item numbers, features and application text and warnings. I also kept in mind that this new style guide needed to assist the Company staying compliant to federal regulations and GHS standards. The resulting style guide of Lawson Products’ chemical product lines looked more contemporary, unified and helped them stand out in the competitive chemical market. As mentioned above, in designing a new label strategy I faced many challenges that required innovative problem solving. I presented the concept to the company’s leadership team and built the case for the need to update the labels. Sometimes I even had the opportunity to work on challenges that affect other departments. One such example happened when I set up a cross functional meeting with the chemical product managers to develop a new process for label design updates going forward. I noticed that this process was undefined and had many different steps required. Even though Product Management owns this process I offered to host a meeting to see if I could help us establish a more defined process. So I set up a cross functional meeting including the chemical product managers and the label production team members to have a discussion about the process and fill in any holes we still had. As a way to help visualize it, I made use of my Lean Six Sigma training and generated a SIPOC chart, a diagram that shows the inputs and outputs of a process, on the whiteboard. I walked the team through each step to consider ways we could streamline the process. Immediately after agreeing on a new process the team noticed a smoother and more efficient workflow with less non-value added work.